The NaNoWriMo challenge this year was quite a different journey than last year. There were a lot of differences in my personal life that contributed to that (going back to work, my youngest starting preschool, my oldest in more dance classes and starting dance team) that definitely constricted the opportunities to write, but it was more than that. These are some of the thoughts I’m left with at the end of the challenge. A big thing I found myself needing was time for other things to break up the month so the writing did not become a burden. That was a VERY surprising thing because I am on a journey working diligently for my dream to be published. It is the driving force behind many of the decisions I make. I yearn for those moments when I can commit time and energy to my writing and my craft. NaNoWriMo is the perfect challenge to force myself to take that time and devote that energy to my writing, but it is still a huge project to take on and can be a struggle to complete. Having other things to break up the month helped me separate myself from the work so when I did dive back in, I was refreshed and saw my story better. Knitting projects, YouTube breaks, and nights of binge watching Sherlock or the Hunger Games kept me balanced throughout the month. At about day 16-17, burnout struck me hard. I was loving my story, and excited to see where it was going, but by the end of the day I had little energy to commit to my writing. There were a few nights where I rewarded myself with a five minute mindless social media break every 400 words to get through. I was able to overcome it, but the end of the month was definitely more challenging than the beginning. The days in the aftermath of NaNoWriMo were interesting. The first day was lovely, knowing I wouldn’t have to push through the fatigue to force the words out and that I could enjoy more time with my girls and my husband. But then on the second day, I felt like I was forgetting something. On the third day I felt a weird sense of panic that I couldn’t shake. And THAT was the perfect reminder while I was trying to enjoy the freedom of December, of WHY I need this challenge. NaNoWriMo becomes the boss I need to get stuff done. It reinforces the knowledge that setting goals and deadlines are a necessity as my own boss. Honoring the deadline set by NaNoWriMo helped me overcome the fatigue and burnout to end the month with a complete draft of my story. Looking at that printed manuscript (the featured image of this post) is the tangible proof that I am more than capable of seeing my journey to publishing through to the end. Reflections on six months of blogging. The rest of the month will be spent making detailed plans to accomplish my goals for Quarter 3, which spans December-February (I don’t run my goal planning for my writing from January-December-see Goal Planning-Part One) and prepping for the work to happen in 2019. 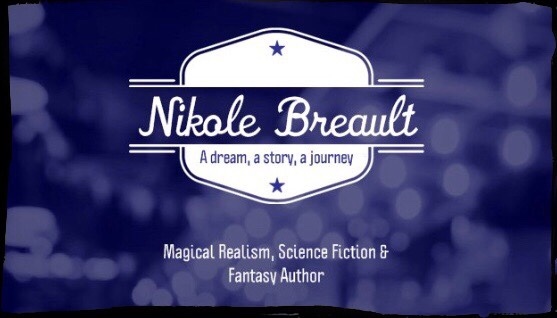 I would love for you to follow me at nikolebreaultauthor on Facebook and subscribe to the blog (see my social media links at the bottom my site to follow and subscribe). I am so thankful to be sharing the love of writing and passion for stories with you! Also, I would really appreciate if you would share one of my posts within your own network. Expanding my audience and building this community is an important part of the journey! How are you doing with your projects? What’s the plan for finishing writing projects before 2018 ends and/or transitioning those projects into 2019? On a side note, I never noticed that we are both using the same theme on our blogs? I just redid the theme. I didn’t realize I had chosen the same one you’re using. NaNoWriMo is a crazy challenge. Taking on the challenge, even if you don’t finish, still leads to more writing which is winning too! 😁 Thank you for sharing my post!